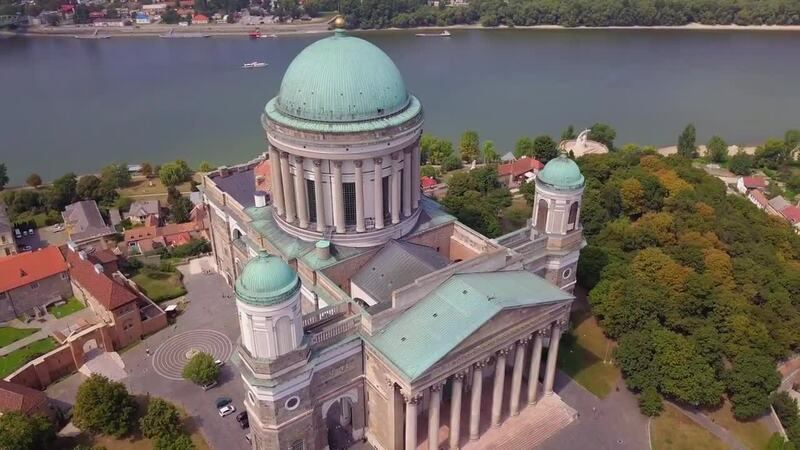 Behold this stunning drone video of the great Esztergom Cathedral, one of the great cultural treasures of Hungary and indeed of Central Europe. It's in the city of the same name, which lies a short distance north of the Hungarian capital city Budapest. Esztergom is arguably the cultural center of Hungary, and served as the capital of a medieval predecessor of modern Hungary. Built on the banks of the mighty Danube River in the mid-19th century, the cathedral is the largest church in Hungary.